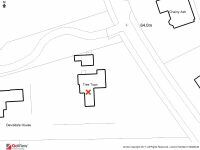 Situated in one of the areas most sought after locations with one of the most desirable addresses, Tree Tops is accessed via a private gated carriage driveway and is well set back from the road standing on a mature 0.65 acre garden plot, which is south facing to the rear. 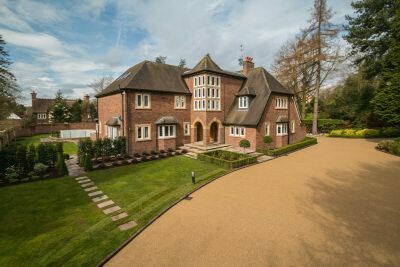 This substantial home extending to some 11,000 square feet represents one of the largest single build houses in the area, constructed in 2008 and remodelled this year so that it is literally in 'as new' offering Six Bedroom and Bathroom Suites. Available fully furnished and ready to move in to the extensive accommodation is arranged over four floors including a 3000 square foot Leisure Complex with Indoor Pool, Jacuzzi, Gym and Home Cinema. The property incorporates every modem convenience and luxury with the highest specification, kitchen and bathroom fittings, wood and tiled flooring, mood lighting, security and home entertainment systems. To the Ground Floor arranged off the Grand Hall with impressive staircase feature are the Lounge, Dining Room. Family Room. Fitted Study and the Live In Breakfast Kitchen, from which a spiral staircase leads to the Wine Cellar. To the First Floor are Five En Suite Bedrooms including the Principal Bedroom Suite of Bedroom, Dressing Room and stunning En Suite Bathroom. The Second floor provides a Sixth Bedroom and Bathroom, ideal for live in help or relative, a Den/Sitting Room and extensive storage or further Bedroom. Externally the tended grounds are mainly laid to lawn with a selection of mature trees and shrubs creating excellent privacy. To the rear there is a large stone patio terrace returning across the back of the house accessed via French doors from the Lounge and the Dining Room. Beyond this there is a large expanse of lawn and sweeping steps leading to further sunken patio to the Lower Ground Floor Leisure Suite, also accessed from the house. The carriageway drive provides ample parking for many vehicles and leads to the integral double garage. A truly first class property with a location to match. Bowdon and its surrounding towns and villages are particularly favoured, having good commuter links into Manchester City Centre and beyond via the Metrolink facility at Altrincham Station. The access point to the north west motorway network and Manchester International Airport are just a short driving time away. Nearby Hale is a vibrant village renowned for its specialist shops, services and restaurants and Hale railway station offers links with Knutsford and further afield to Chester. Altrincham provides a range of comprehensive shopping needs including a large number of retail outlets such as Marks & Spencer, Boots, House of Fraser etc in addition to the popular market quarter with its wide range of dining options. The Trafford Centre is easily accessed via the M60. Trafford is also known for its excellent schooling both in the state and private sectors. Indeed there are several good schools nearby to suit children of all ages. From our Hale office, travel along Ashley Road over the railway crossing and continue straight across at the traffic lights, up Stamford Road, pass The Griffin public house on the right and turn immediately right onto The Firs. Continue along, passing the Bowdon Assembly Rooms on the right and The Synagogue thereafter and turn left onto St. Margaret's Road. Proceed along St. Margaret's Road turning left onto Groby Road and first right into Devisdale Road. Proceed along Devisdale Road and the property will be located on the left hand side.